“It is night-time in the forest. A campfire is crackling, and the storytelling has begun. 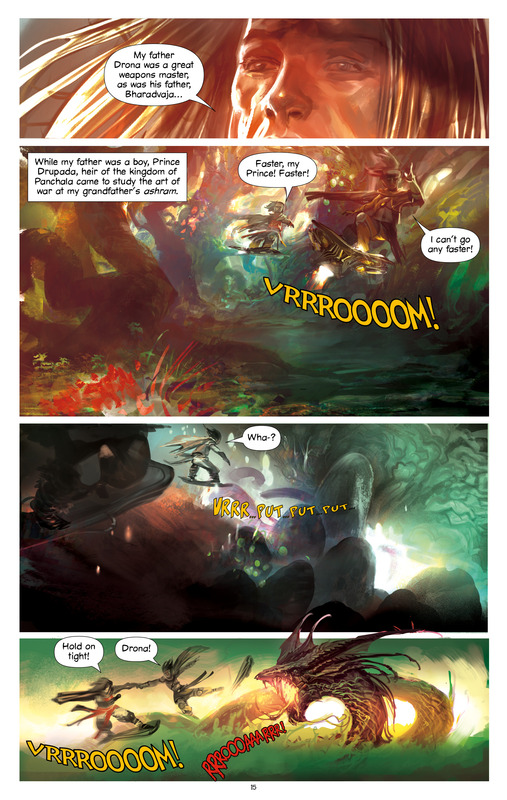 Campfire Graphic Novels brings you the best in great stories. Created by the world’s top artists and writers, we bring you the greatest stories ever told,” says the website of one of the most impressive publishing houses that have cropped up over the past few years in India. An imprint of Kalyani Navyug Media Pvt. Ltd, this Delhi-based Campfire Graphic Novels over the years has steadily published some great series starting from literary adaptations and ending with biographies. Not unlike most other creators in India, Campfire has its fair share of mythological adaptations to boast of as well. In fact, The Kaurava Empire Vol. 2: The Vengeance of Ashwatthama, won an award for the best colourist at the last Comic Con Awards in Bangalore. A tale of a man torn between his love of two great families in the greatest civil war the universe has ever known, The Kaurava Empire: The Vengeance of Ashwatthama traces the journey of a man who is cursed to wander the universe forever, friendless and alone. And even though they choose to explore Indian mythology, they offer a wide variety to suit varying tastes in literature. 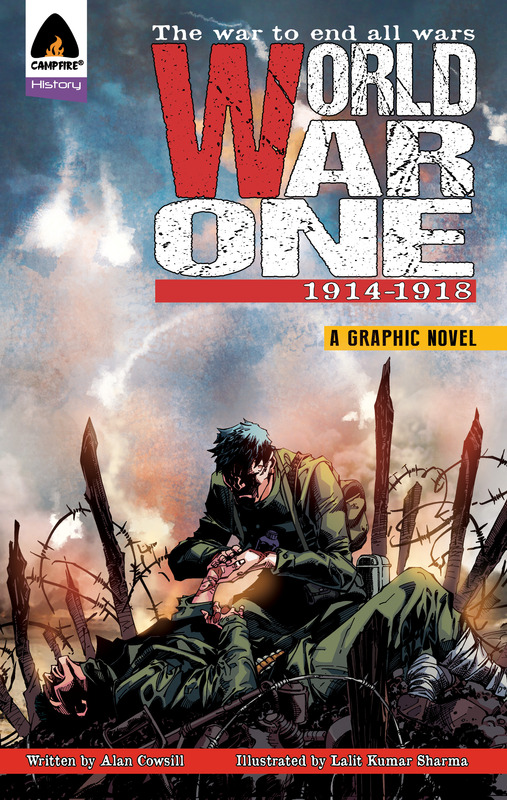 With the release of World War One: 1914-1918, that won the award for the Best Graphic Novel at the Comic Con Awards, they proved that history is not always as boring as most believe it to be. By tracing events that began with the assassination of the Archduke Franz Ferdinand in Sarajevo, this graphic novel allows readers to watch one of the most devastating wars in the history of humankind unfold before their eyes. With most of their titles being adaptations, one might wonder what sets it apart from creating an original. “Creating an adaptation is different from writing a story from scratch,” says Girija Jhunjhunwala, Director, Campfire Graphic Novels. “One could say it’s somewhat easier because the storyline is already there, but at the same time the adaptor has to keep in mind what the original author had intended to convey and remain faithful to the vision and sentiments expressed in the original work. Even if one wishes to deviate from the original, as many adaptations often are, the adaptor must have a firm grasp of the original text to know where and how to deviate,” she explains. And even though Jhunjhunwala believes that there should be more focus on comics at the Indian Comic Conventions, she admits that it is indeed quite an interesting event. “Comic Con is a platform. Whether it’s helpful or not depends on what you make of it. It certainly is a great place to meet others in the industry and share ideas, and it is one place where exposure to comic book fans is guaranteed. At the same time it’s probably better if the focus was more on comics and graphic novels and less on merchandise,” she signs off.